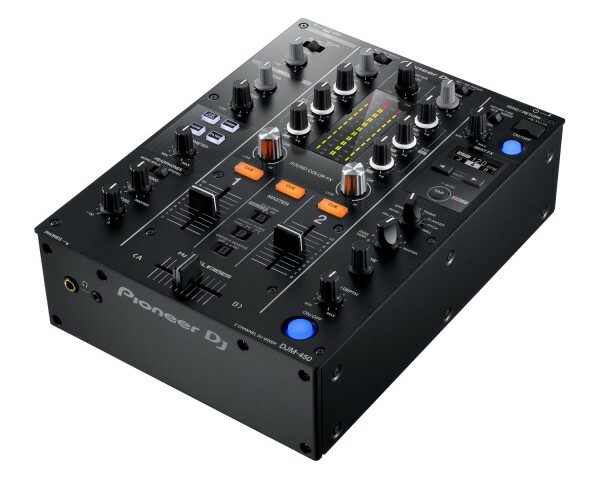 With features and design inherited from the DJM-900NXS2, this 2-channel mixer is ideal to partner with any of Pioneer DJ’s multiplayers or turntables. 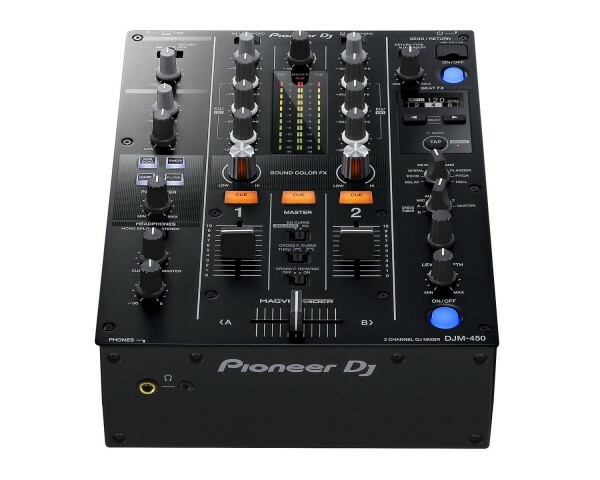 The Magvel fader combined with smooth EQ and channel fader curves give an assured feel to mixing. Sound Colour FX and Beat FX with parameter control open up new creative possibilities. 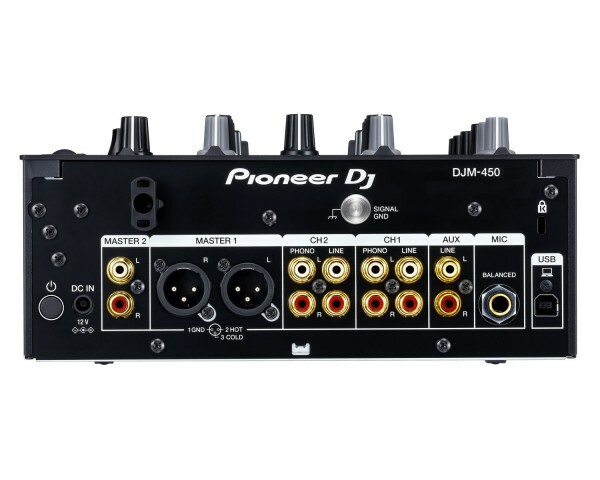 And thanks to the 64-bit digital signal processer you’ll enjoy warm, high-quality audio from both analogue and digital sound sources. 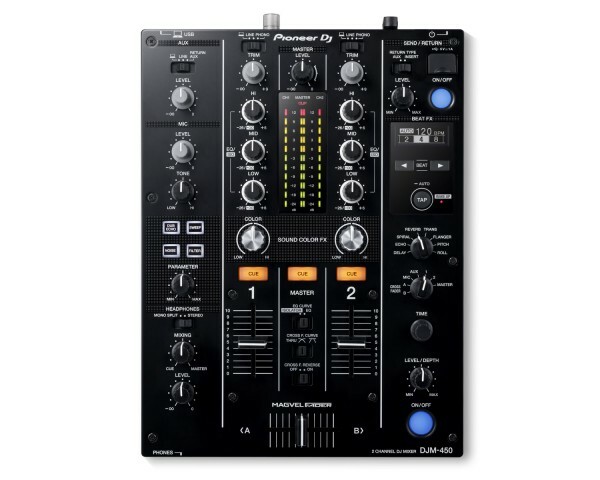 The DJM-450 also comes bundled with licence keys for rekordbox dj and rekordbox dvs, so you can DJ with tracks stored on your PC/Mac when using turntables and Pioneer DJ’s control vinyl.